No standard weight guidelines exist for teen girls. While you might feel different than your lithe and lean friends, you should only try to lose weight if your doctor has indicated that it will improve your health. Skip the fad and starvation diets; they'll do you more harm than good. Instead, focus on becoming more physically active and on eating a highly nutritious, natural-food diet. Get at least 60 minutes of exercise daily. Jogging, playing a sport or taking a dance class at the gym are all options. If you don't like exercise or feel awkward when doing it, choose activities that seem less "formal" like walking the dog or riding your bike. Three days a week, do muscle-strengthening activity, such as working with light weights, yoga or calisthenics, to help improve your body composition and boost your metabolism. 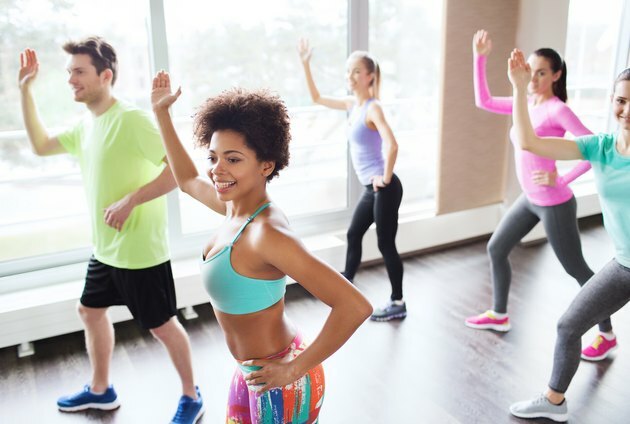 Exercise helps you burn calories so you lose weight without having to restrict your diet so much that you experience nutritional deficiencies. Weight loss comes from both exercise and diet. To maintain your weight, you need between 1,800 and 2,400 calories per day -- cut this by 250 to 500 calories per day to lose 0.5 to 1 pound per week, which is considered a healthy rate. Going lower risks that you won't get adequate nutrition. One way to cut out these calories is to ditch all processed foods, including chips, cereal bars, soda and fast food. KidsHealth.org: What's the Right Weight for My Height?